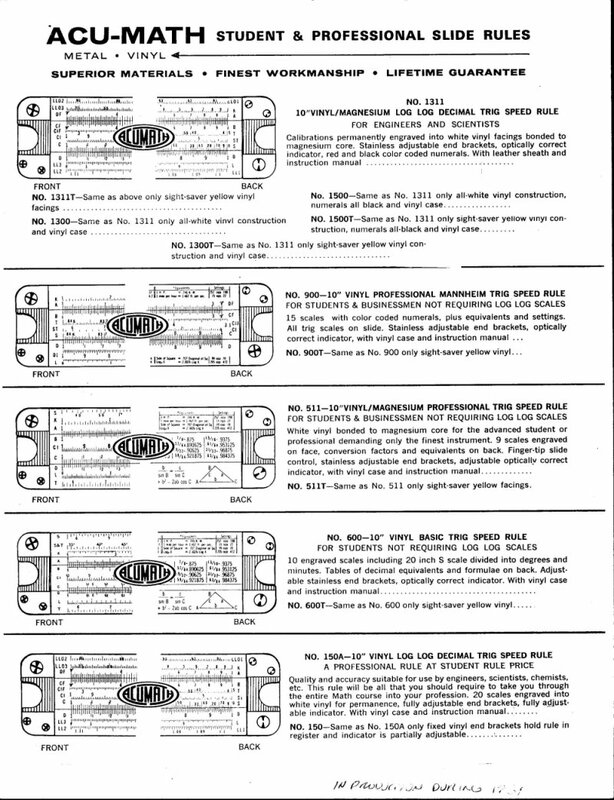 Made in U.S.A by Acu-Rule Mfg. 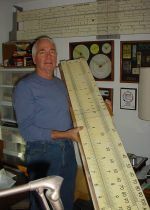 Festus, Missouri. 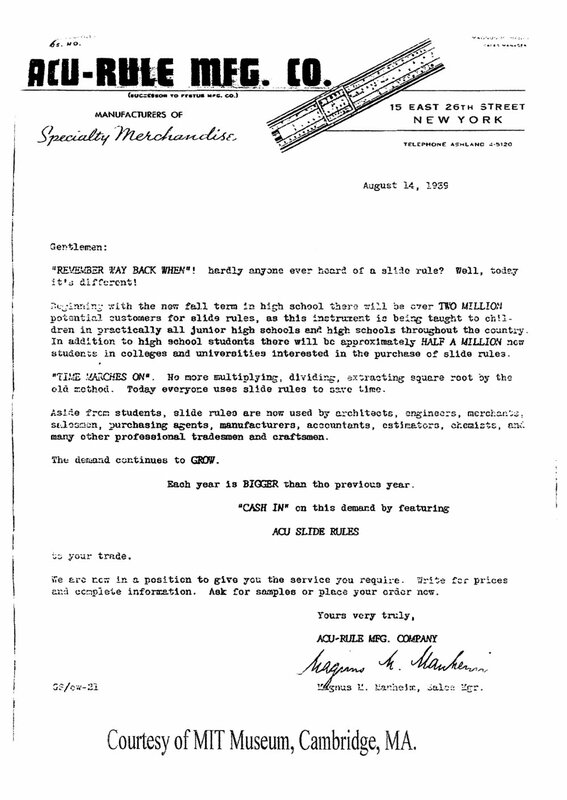 Gift Of Ed Millis, Dallas, Texas. 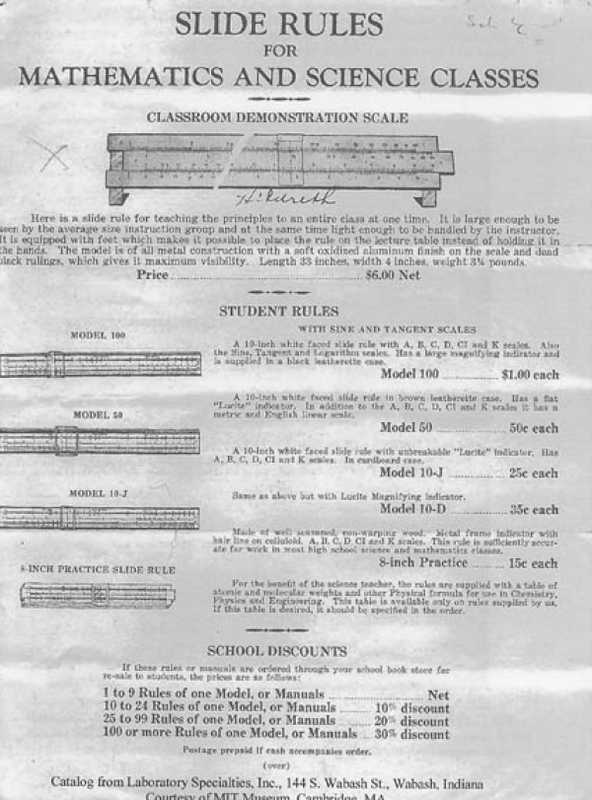 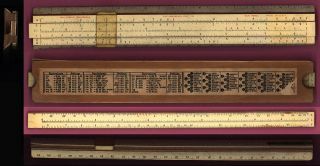 This Demo slide rule is basically identical to the Laboratory Specialties Demonstration Slide Rule of 1939. shown in the sheet on the left. 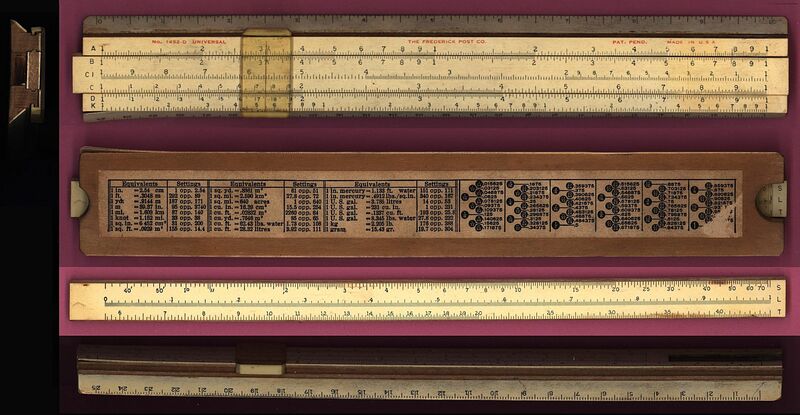 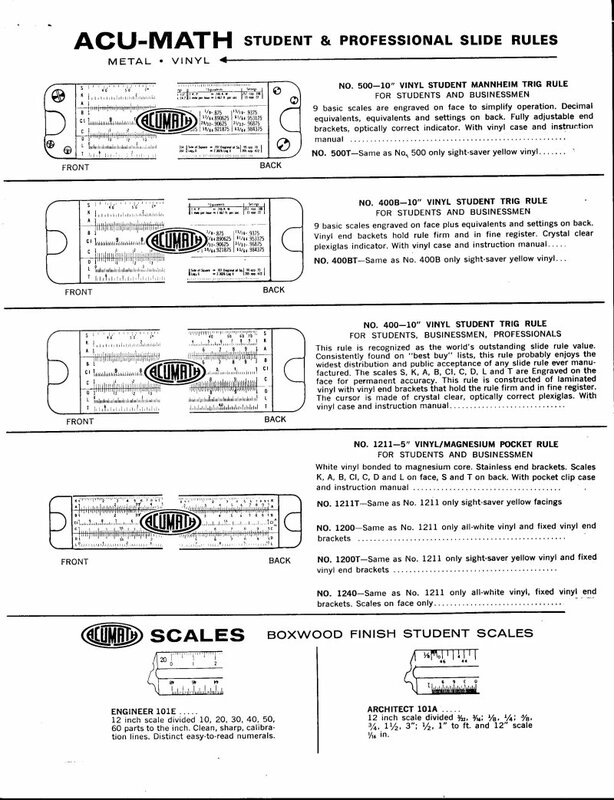 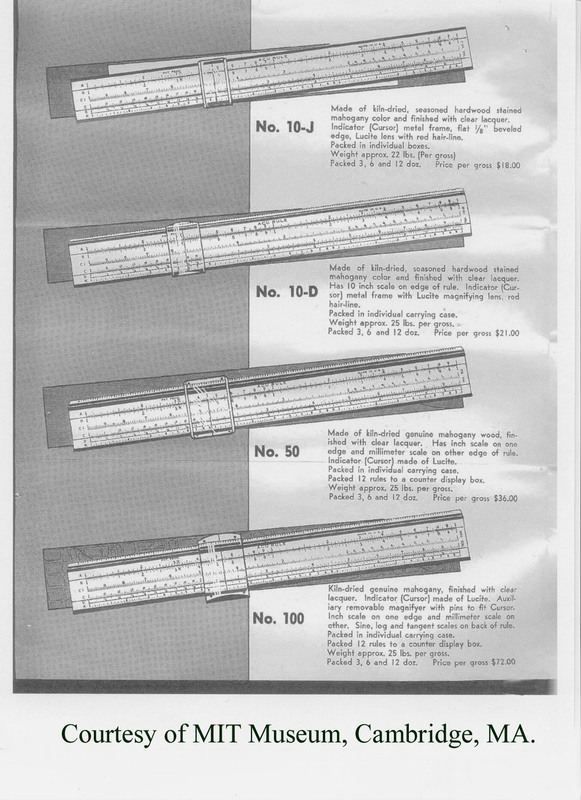 Laboratory Specialties sold Acu-Rule slide rules and Acu-Rule may have been commissioned to make this item.